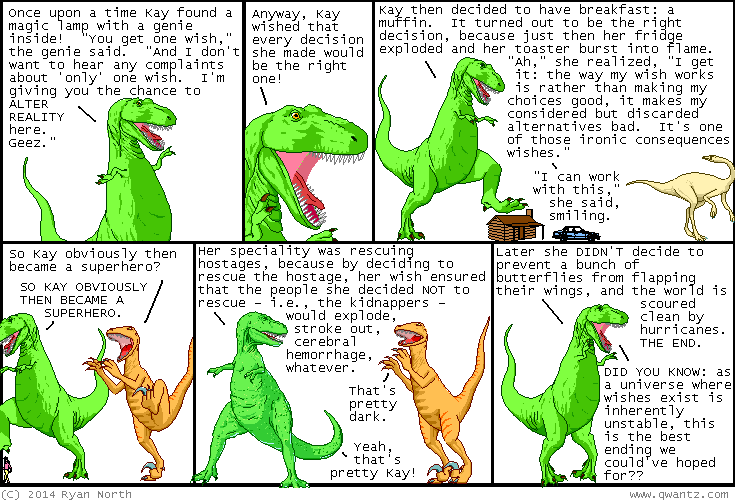 Dinosaur Comics - September 8th, 2014 - awesome fun times! September 8th, 2014: Hey guess what! I won a two Harvey awards over the weekend: Adventure Time (the comic me and Shelli Paroline and Braden Lamb create, with backup stories by all sorts of awesome people) won "Best Original Graphic Publication for Younger Readers", and I personally got "Special Award for Humor in Comics". Thanks everyone for the recognition! I am humbled and flattered.